Born and raised in the PNW but spent the majority of my life in and around Atlanta, GA. Defensive Specialist. There is no better feeling than getting that perfect dig. Misty May-Treanor was so consistent and rock solid during her outdoor career. Although I’ve primarily played indoor, watching her inspired me to continue playing and give 100% whether or not anyone was watching. Logan Tom had a similar effect growing up because of her long career. Experiencing 6 players on a court working as 1 unit and knowing that your role is crucial to the operation of each play--there’s a certain rush knowing that, that I don’t feel in any other sport. There are some Saturdays that you’ll go into a tournament before its light out and when you come out again its dark. I’ve often said, there’s no place I’d rather be than coaching a group of hard working girls in a gym challenging themselves and each other to be the best they can, and ultimately coming out with the win. 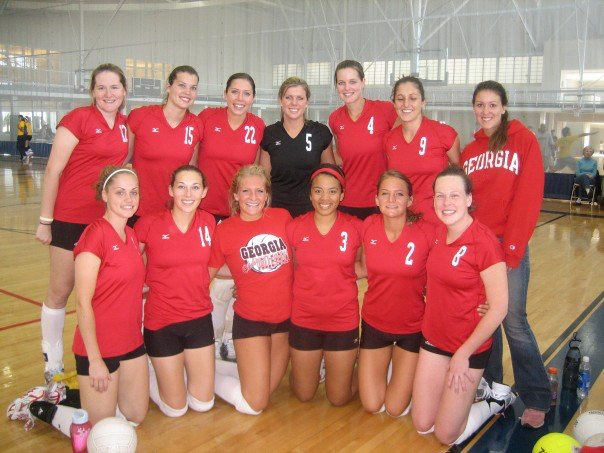 I was in left back in a club tournament versus North Carolina State. My blockers misread the play and their big hitter plowed me right between the eyes. I literally blacked out and woke up to my teammates surrounding me. I still don’t know why my hands weren’t up!